Printed graphic supplies for corporate functions, races, trade show exhibits, sporting and performances. It's easy to ship nationwide to your venue, deploy team or conference center and you can manage all aspects of your order at the comfort of your desk. Using their custom services you can adjust the options of your event signage including the world famous Dura sports mesh for your crowd control barrier stanchions and temporary lift away fence barricades, hanging displays, leaders and flying flags. You can customize any size or length suited to your event spectators and sponsor visuals or design new full color, high impact visuals and cover an entire field. 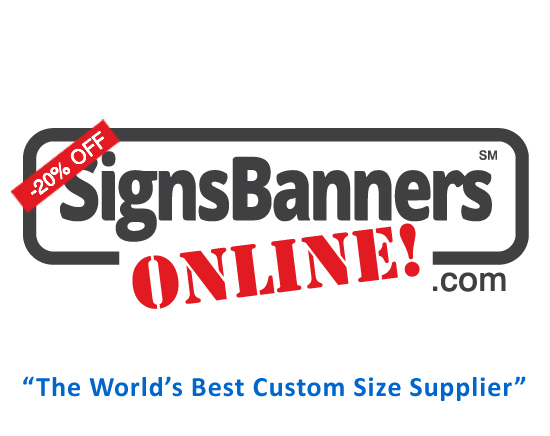 Customize your printed banner sizes to suit your barrier dimensions and sponsor needs. It transports easily from event to event and can be washed. Easy to install with grommets or reinforced edge applications. Sports Mesh can be washed and stored for re-use again.